There is a growing move in the U.S. that is taking many by surprise. The government is cracking down on one of the oldest forms of charity since the first century -- feeding the poor. It is hard to believe, but the government is actually fining and jailing people who feed the homeless. 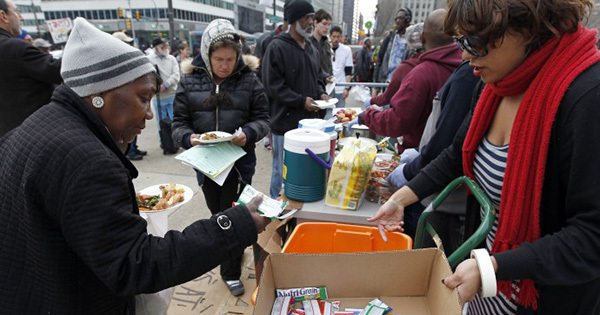 In fact, distributing free food to homeless people is considered illegal in more than 70 U.S. cities including Philadelphia, Ft. Lauderdale, Houston, and more. In Ft. Lauderdale, a 90-year-old WWII veteran was once actually arrested for feeding the homeless. The reasons are usually very shallow, and seem to be designed to try and drive homeless people away. Many city officials feel that if efforts are made to keep feeding them, then the problem will only get bigger. As of January 2015, there were 564,708 people in the U.S. who were homeless.